Is a Rowing Machine or Exercise Bike Better? Rowing Machine or Exercise Bike: Which Is Better? 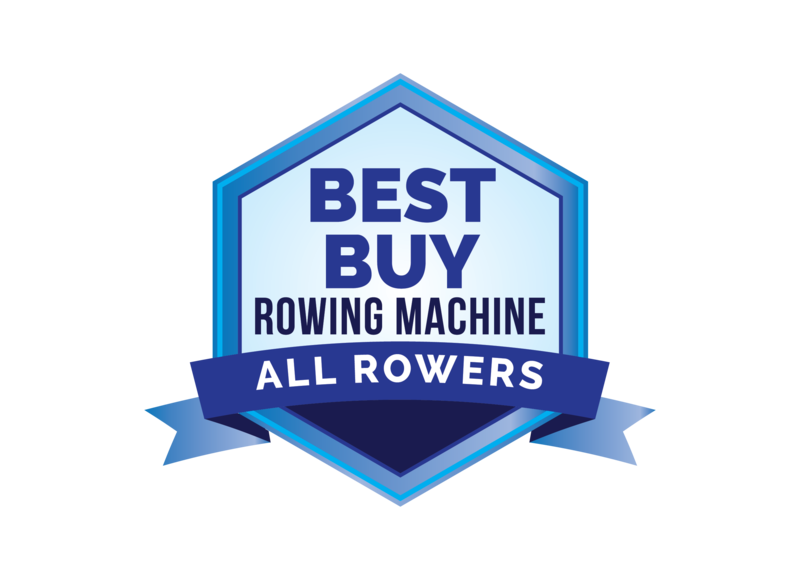 Many people ask whether a rowing machine or exercise bike is the best choice for a good workout, but the answer isn’t simple. Some people want an overall cardiovascular workout; others want to focus on particular muscle groups. Some people want to do some cardio while watching television; others prefer to focus fully on their exercise program. Doing a head-to-head rowing machine vs. exercise bike comparison reveals that both of these fitness machines have something to offer. For Cardio, Is a Rowing Machine or Exercise Bike Better? This is a topic that’s still debatable. Both machines offer an excellent cardiovascular workout that is low impact and non-weight-bearing, so individuals with joint problems or arthritis can successfully use both machines. Exercise bikes actually burn calories at a higher rate when resistance and effort is equal, but this can be misleading because the same intensity of workout can seem more difficult on a rowing machine. But using either one regularly will improve heart health. The way you exercise also has an impact on whether a rowing machine or exercise bike is better for you. If you want a workout that will raise your heart rate but still allow you to watch television or chat with a friend, you’ll probably prefer a stationary bike, which you can pedal with a fair amount of intensity while still enjoying your favorite program. Pedaling on a bike doesn’t require a lot of concentration. A strenuous indoor rower routine, however, will require all your concentration in order to maintain proper form throughout the stroke, and will leave you quite winded. Where Will You Be Using Your Exercise Equipment? When choosing between a rowing machine or exercise bike, keep in mind where you’ll be putting the equipment. 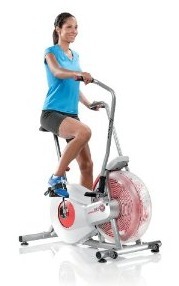 Stationary bikes have a smaller footprint and can be used in even the smallest apartments or rooms. They are also relatively quiet as long as you care for them properly. 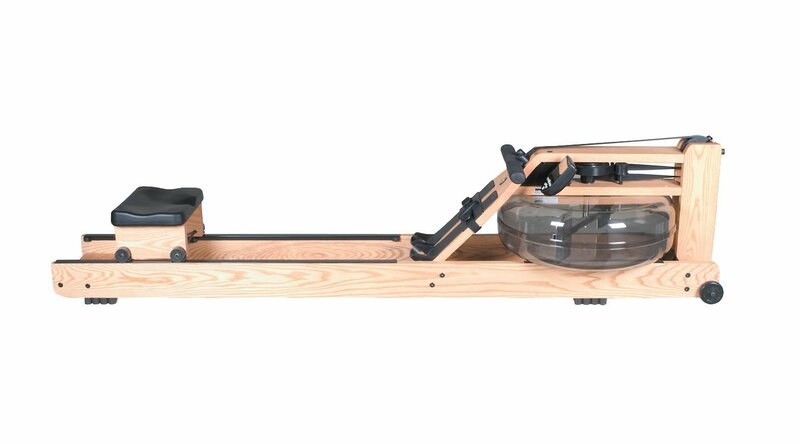 An indoor rower takes up a good deal more space, and you’ll need additional room for a full extension of your arms and legs, which requires plenty of room beyond the parameters of the equipment itself. Some rowing machines, including those with magnetic resistance, are virtually silent while other models can be very loud. Comparison shopping will be needed to gauge how loud an individual machine will be. Exercise bikes give your lower body an impressive workout, particularly your inner and outer thigh muscles, groin muscles, and buttocks. If you want to focus on this area, you’ll be happy with an exercise bike. If you want to tone both the upper and lower body, a rowing machine is the right choice. It targets nearly all the major muscle groups, including the arms, legs, back and torso. The final choice between a rowing machine or exercise bike has to be yours. Keep in mind how you’ll use it and what kind of results you’re looking for and you’ll be able to choose the ideal exercise equipment for your home.